Open the Howler 'Check In' application on your smartphone. Enter the Howler account details or the event ID and pin and select 'Login'. Select the event you would like to scan ticket for, a downloading screen will appear. 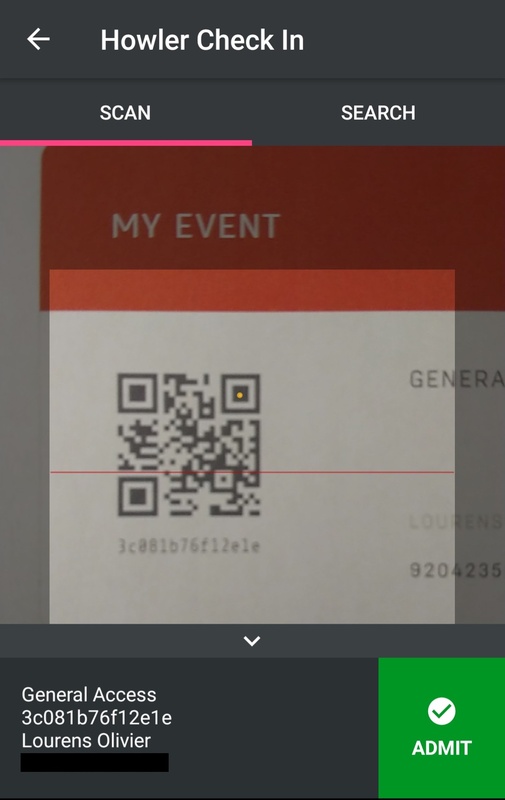 Select 'Scan Tickets' to start scanning all the ticket types for that event. If the ticket is valid, the information will be displayed as the image below. If you are unable to scan the ticket, and would like to search for the ticket using the customers details, select the 'search' tab. To admit a searched ticket, hold and swipe left on the ticket, a green border will flash on success. 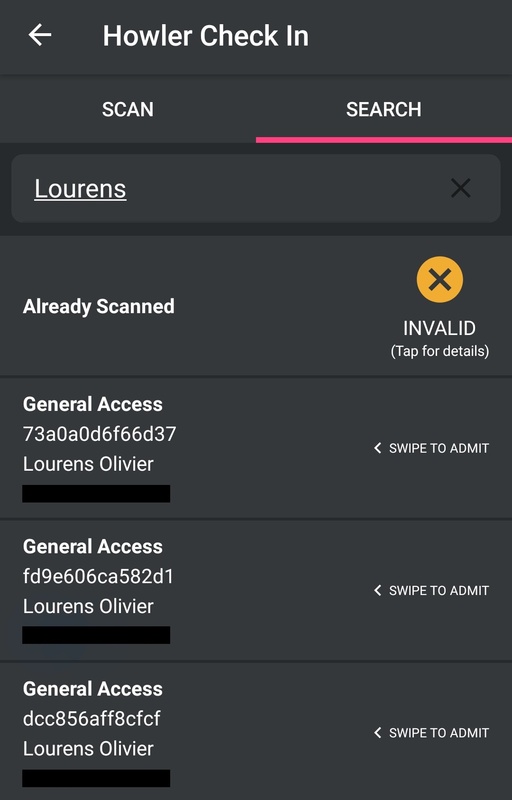 If a ticket shows 'Invalid', you can tap the yellow icon for more information, in this instance the ticket has already been scanned. Note: You can search using a customers name, email address, ticket barcode or ID number. Tip: Search for a barcode if you're looking for a specific ticket and a username (email) if you're looking for a bunch of tickets bought by one person.